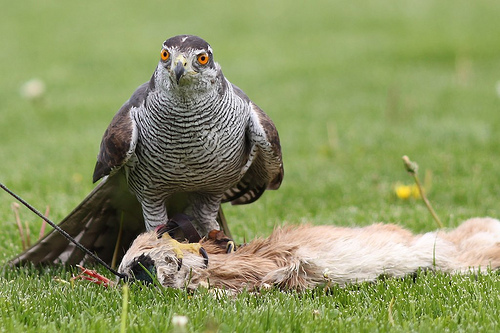 After a long period of decline the Goshawk is gaining ground in western Europe. It is a rapid, graceful bird, known for the fierce hunting it can perform among the trees. Less well known, but really possible: it can run fast on the ground in its chase of mice or other prey. The Goshawk is much larger than the Sparrowhawk and has a wider tail. The Goshawk has shorter wings and a longer tail than the Buzzard. 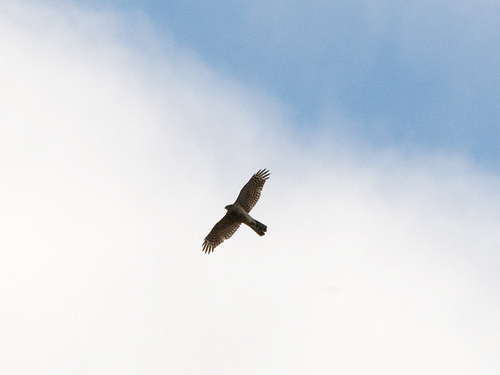 The Goshawk alternates flapping with short glides. 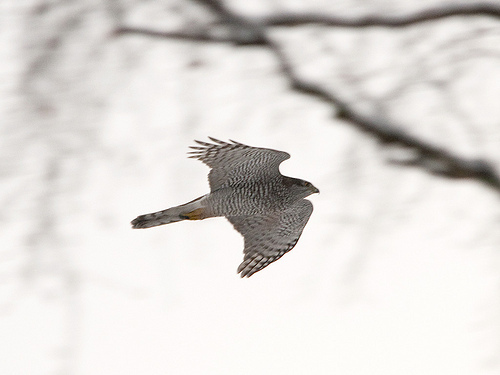 The Goshawk has shorter, rounded wings and flies in a different way; a short number of wing beats followed by a glide.